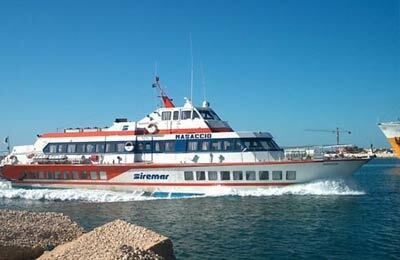 Book Ferries to Favignana, Levanzo, Marettimo & Trapani with Siremar Ferries! 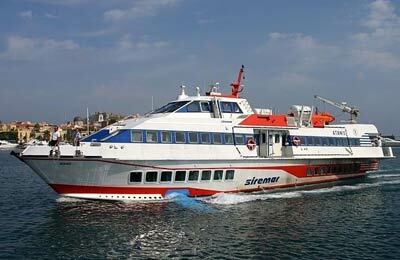 You can use AFerry to book a Siremar ferry to a the Aegadian Islands and Sicily. Siremar has been providing these services since 1976 and is known for providing the highest quality ships. AFerry always has cheap prices for Siremar Ferries and the latest special offers. You can use AFerry to book Siremar ferries to the Aegadian Islands of Favignana, Levanzo and Marettimo and to Trapani in Sicily. For all Siremar routes and the latest prices and sailing times see below. Click on your ferry route for a detailed Siremar schedule. For the short routes between the Aegadian Islands and Sicily, Siremar uses fastcraft hydrofoil ships, which can reach speeds of up to 40 knots. 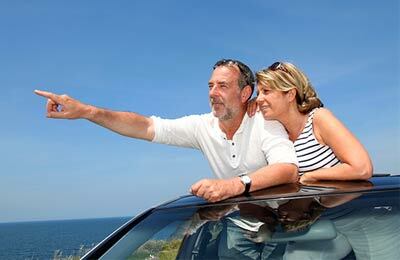 These services are for foot passengers only, with a maximum luggage allowance of 10kg per person. On board these ferries you will find comfortable seating with large windows allowing a panoramic view. Other routes to mainland Italy with Siremar are coming soon to AFerry. These routes are run with larger ships and allow the carriage of cars. Whether you the Siremar Ferries Favignana Levanzo route, the Siremar Levanzo Marettimo ferry service, or any other route from Siremar, you are bound to have a relaxing and enjoyable journey. So what are you waiting for? How long before departure should I arrive for Siremar? SIRE MAL ferry - Make sure to know your rights they cheat you!!! Left us one day without having noticed the delay in the ticket office. We could have cancelled the ticket for free, however they kept telling lies about the departure until one hour prior, when then again they wanted to get some money for a cancellation that should be FREE, because they did not departure on the day of the purchased ticket but the following day!!! We had to pay extra money for a hotel, got stressed, HORRIBLE treatment!